This was my first requested shirt, also my first try with SNES sprites. I probably won't want to do SNES sprites too often, if ever again. The problem stems from the colors. NES had a limit on how many colors a sprite could have - four. This makes painting the sprites simple. SNES sprites can have many more colors than that, however, which makes them a little bit more complicated. I'm still glad I made this shirt though, and I'm very proud of how it came out. 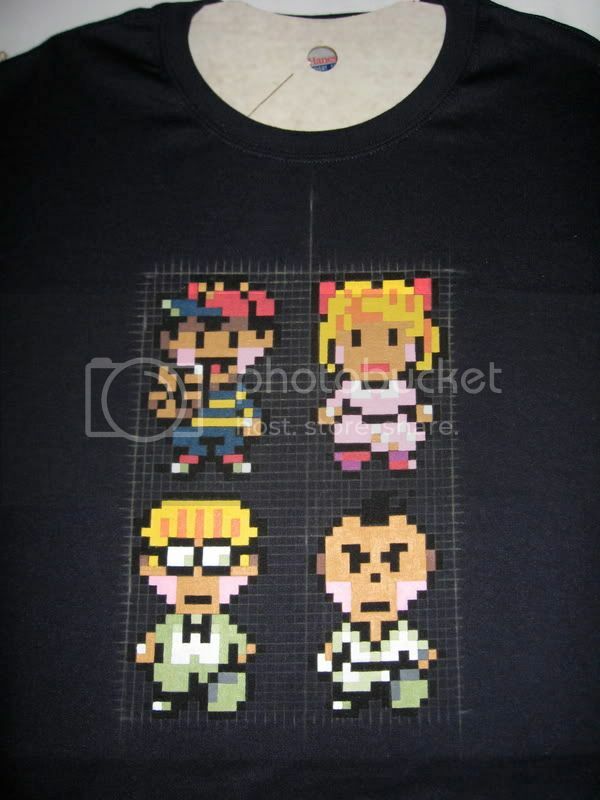 Pixels are 1/2 cm so I could fit all four of them onto the same shirt. Oh wow, so awesome. How do you get the graphs on the shirt? What kind of paint do you use so it doesn't fade a lot with washing?